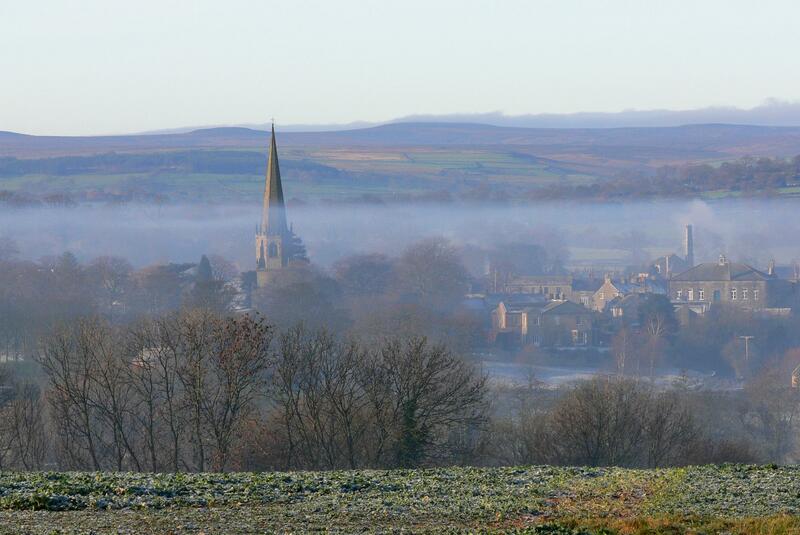 Walk around town and look for the Masham Bones – the site of 58 skeletons dating from pre-Norman times and find their final resting place in the churchyard. Visit Marfield Wetlands Nature Reserve on the outskirts of town and enjoy some fine bird-watching from one of the hides. Alternatively just chill out with a picnic while you watch a game of cricket, bowls or tennis at Masham Sports Association. Enjoy the idyllic location next to the river with the Masham skyline as a backdrop. Hire a tennis racket from the Community Office if you have the energy! Pick up a walking map from the Community Office and take a relaxed walk along the River Ure following the Masham Leaves Trail or how about a steady mooch around Masham looking for the Masham Swift Sculptures? For more challenging walks you can strike out to the stunning Hackfall Woods and enjoy its stunning location and follies. Or, there are unlimited day-walks through woodland, pastures and stunning grouse moors – from rolling hills to more challenging treks. Maps available at the Community Office. If two wheels are more your thing, get on your bike or hire one from Cycopath Cycles – ride the country lanes and bridleways or complete a section of the route of the Tour de France. 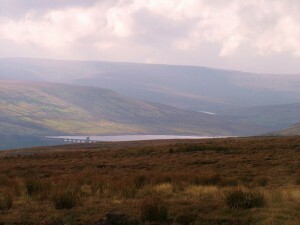 Take a walk around Druid’s Temple and Swinton Bivouac, meet the Swinton Birds of Prey and take in the spectacle of Leighton Reservoir and the grouse moors beyond. Or How about trying your hand at fly fishing on the River Ure or Leighton Reservoir? Or a round of golf at Masham Golf Club? Visitors always welcome! Want more action? – Try your hand at tractor driving – a proper Yorkshire farm experience at Farm Adventures. Or grab your climbing gear – head to the Crags just up the road in Colsterdale or try the high ropes course and zip wires at Aerial Extreme. You could always save your legs and enjoy the scenery with a pony trek from the Masham Riding and Trekking Centre. Or get your eye in for another country pursuit, try clay pigeon shooting at Warren Gill Shooting Ground a few minutes from Masham. 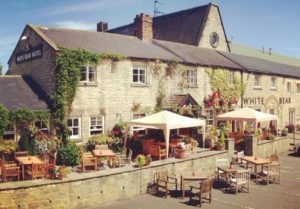 Relax and sip local beer outside one of the four Masham pubs – The Bay Horse, The Bruce Arms and its beer garden with a view, The Kings Head or The White Bear with its sun soaked terrace pictured here. Or sit in the sun with tea and cakes outside Bordar House Teas or take in the unique atmosphere and great coffee at Johnny Bagdad’s Café on the Square. Alternatively, perch on a bench with your traditional fish and chips or your local ice cream and just watch Masham go by. For more activity, take a brewery tour or two! Theakston Brewery Visitor Centre and Black Sheep Brewery Visitor Centre both offer great insights into the production of their beautiful beers plus a great selection of beers to sample. 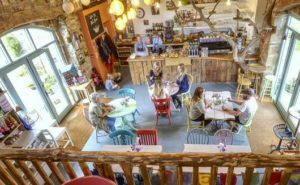 If you prefer wine, you’ll love a visit to Corks and Cases independent wine merchant where you’ll find over 300 wines to choose from plus their brand new “Spirit of Masham” handcrafted gin. Alternatively, hand craft something yourself – switch off, relax and learn a new skill – check out over 180 creative workshops per year that are available at ArtisOn just outside Masham. Beware though – workshops are very popular so book your place early! 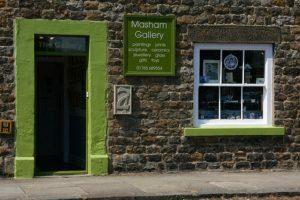 If you prefer to mooch around town, you’ll find something unique and beautiful in one of our five art and craft galleries – Masham Gallery, The Nolon Stacey Gallery, The Little Picture Gallery, Uredale Glass Gallery or The Blue Light Gallery. Or discover a special gift at Birdhouse Interiors. If the weather takes a turn for the worse, upgrade your outdoor gear at Bentley’s or check out the surprisingly wide selection of ladies fashions and accessories at Through The Looking Glass. No shopping trip is complete with a browse around Masham’s bi weekly Market or monthly Farmers Market. 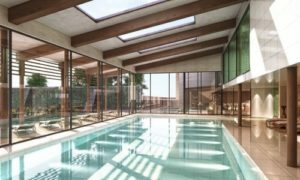 After all that, you’ll have earned a pampering treat at the new multi-million pound Swinton Country Club & Spa, opening summer 2017. Tucked away just outside Masham, the experience promises be world class! Finally, you can top off your day with a pleasant evening at Masham Town Hall – there’s a regular film programme, great music, comedy and theatre. Tickets available from the Community Office. 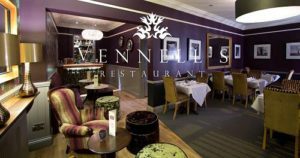 You’ll get some great pub food in Masham – sample the unique bear bread at The White Bear or find something to celebrate with a fantastic meal at the acclaimed Vennell’s Restaurant that won’t break the bank! We’ve got a new pop-up restaurant too – Number Thirteen at Bordar House Teas. So keep an eye out for their regular themed restaurant nights. If you’re self catering, we’ve got two family butchers in Masham – Rogers and Beavers. Both offering a wide range of locally sourced meats and homemade products like pies and famous Masham sausages. There’s a wide selection of fresh fruit and veg are also on offer at No.15 Greengrocer and a range of breads and bakery goods at Masham Bakery or Reah’s which also has an extensive range of cheeses, deli products and groceries. You can then choose be spoiled for a choice of sweet treats or ice cream from Bah Humbugs or Joneva. 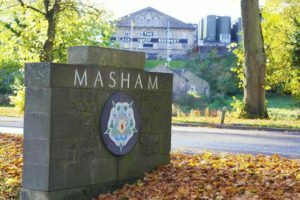 Make the Most of Masham is a loyalty scheme to encourage residents and visitors to shop local. Find out more here. A few minutes out of Masham try the food at the newly refurbished Black Swan at Fearby – now dog friendly too! 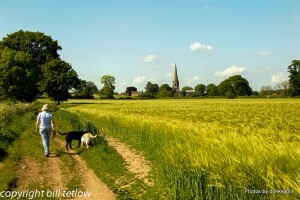 Or head to The Crown at Grewelthorpe after a stroll in Hackfall Woods. Or why not walk through Hackfall and beyond to West Tanfield and have lunch at the Bull Inn or the Bruce Arms? The lovely café at the Swinton Bivouac (pictured) is also a great spot for a drink and a snack with fabulous walks and stunning views – all just a few minutes from Masham. For a really indulgent special dining experience explore what’s on offer at Swinton Park – from fine dining at Samuel’s Restaurant, to afternoon tea, there are many treats available. Alternatively, if you love food, you can hone your own gastronomic skills at Swinton Park too – the extensive programme at the Cookery School has an array of delicious courses available!